The present paper investigates some mechanisms of modification the eutectic of aluminum-Silicon (Al-Si) alloys. These alloys have been many applications in general industries especially in military, aerospace and automobiles. These alloys in some cases need to modify their properties In particular the wear resistance. This can be overcome by modification the morphology of Si-eutectic. Many mechanisms were suggested in this field. The most common mechanisms are chemical modification and quenching modification. The chemical modification achieved by adding some rare earth elements like sodium (Na), strontium (Sr), and antimony (Sb). Also can be refined the structure of these alloys by using master alloys such as Al-Ti, Al-Ti-B and Al-B. According to restricted growth theory, the impurity induced twinning which reduce the growth. According to the restricted nucleation, the twin plane re-entrant edge (TPRE) Poisoning, which stopped the twin plane. The addition of sodium (Na) in the range of 0.005 to 0.01% modifies the eutectic Si but it has high vapourity and it is difficult to determine its resulting level. Strontium is added in a range of 0.02 to 0.04% but it is ability to oxidation is high as contact with atmosphere. 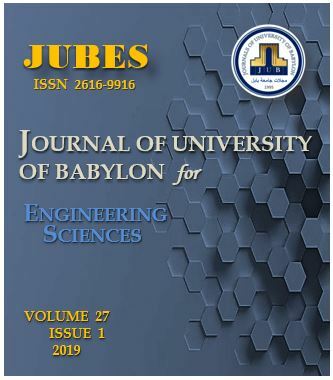 T. Jasim, “Review on the Mechanisms of Modification Al-Si alloys”, JUBES, vol. 27, no. 1, pp. 338 - 343, Feb. 2019.